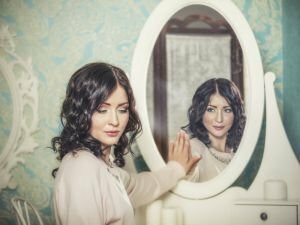 In many religions, the mirror is seen as a gateway to the afterlife. The portal would open most frequently at night because the veil between the real world and the afterlife grew thinnest during the dark hours of the day. Latest materials along with themes about Evil Spirits. Read about stories, mysteries as well as useful advice about Evil Spirits. Obtain the latest news along with articles when it comes to Evil Spirits. Viewers were in for a shock during a TV interview in Thailand. An evil demon possessed a Thai actress while she was being interviewed by the host. The séance begins by repeating the question, Ouija, are you there? multiple times until the pointer moves over to yes . The next question is, Where are you from? This way you'll find out if the spirit is good or evil. We can judge the nature of a spirit in the same way we judge people. So for example, a spirit might not be at a high intellectual level but may possess very high moral standards. On the 31st of October, millions of otherwise nice and normal people will dress up as witches, vampires, zombies, aliens, pirates, ghosts and who knows what else. The Marfa Lights can be seen about fifteen miles east of the town of Marfa, which is located in the U. S. , state, Texas . If you feel the presence of an evil spirit near you and your family, what you have to do is, try to chase it out. Here are some things that you can use in this fight.